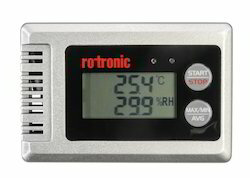 Our range of products include hygrolog hl-1d - inexpensive data logger, cold chain temperature logger and hygrolog hl-20 - economical data logger. We are offering HYGROLOG HL-1D - Inexpensive Data Logger to our client. We are offering Cold Chain Temperature Logger to our client. He compact data logger for humidity and temperature measurement offers high precision and reliability at a reasonable price. The Hygrolog Hl-20 - Economical Data Logger is easy to use and deployable in a wide range of applications. Thanks to its integrated batteries, the HL-20 works completely independently and offers its users maximum flexibility.